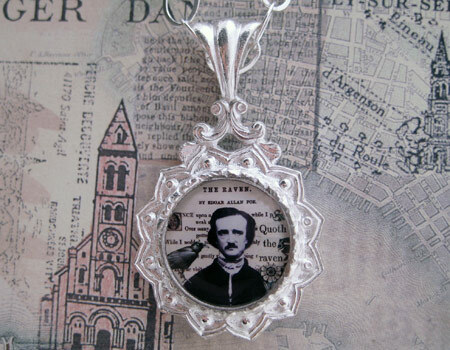 This beautiful, unique and collectible sterling silver pendant features a one of a kind montage of Edgar Allan Poe with a raven, words and engravings from the book circa 1875. 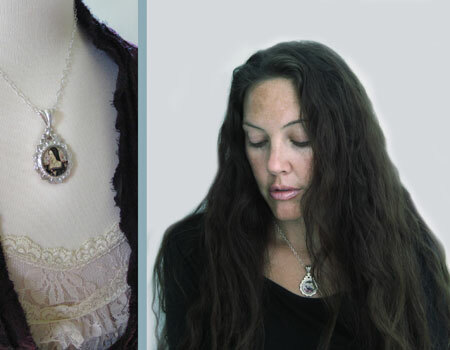 I modeled this Tartx exclusive handcast and crafted pendant from a stunning antique mourning pendant. 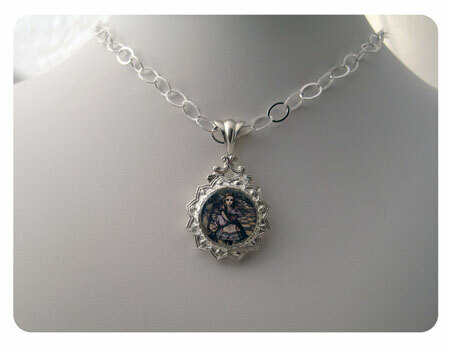 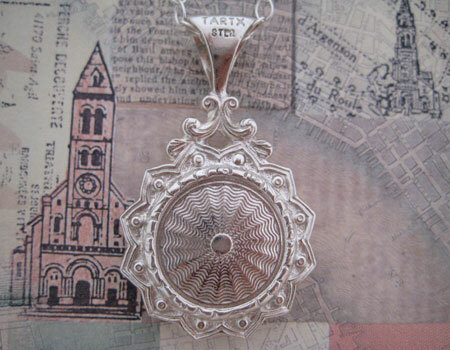 Pendant is cast in .925 solid sterling silver or antiqued bronze. 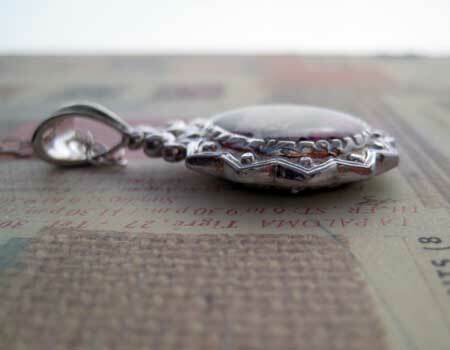 Each pendant comes complete with a 6.1mm, 18" sterling silver or gold filled flat oval cable chain, one anti-tarnish pouch and is packaged in a lovely velvety gift box. 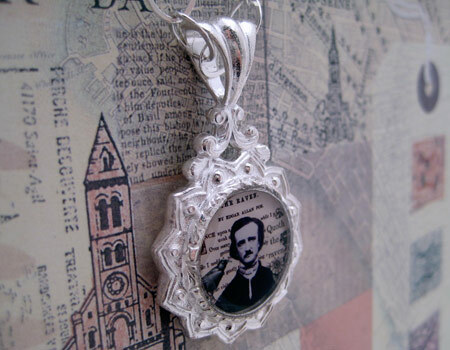 Due to the popularity of these pendants they are custom made per order and will ship in 2-4 days.